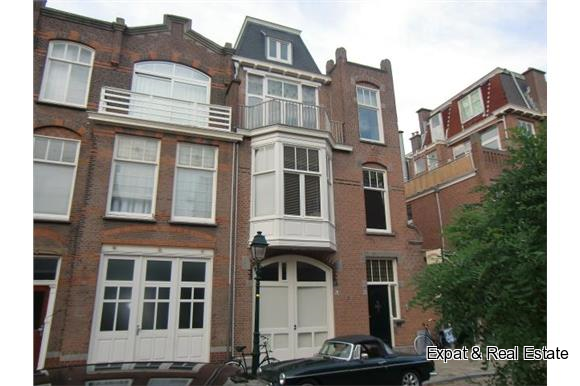 In the nice Statenkwartier area, just around the corner of the cosy Frederik Hendriklaan, a recently completely renovated , partly furnished ( fully furnished also possible) two floor apartment on the 2nd and 3rd floor with 2 bedrooms and a sunny balcony facing South. Entrance on street level; staircase to first floor; entrance apartment; staircase to second floor with landing with luxurious toilet; separate space with laundry facilities; spacious living/dining (approx. 45 m2) with beautiful wooden (oak) floors with french doors to the lovely balcony; from the dining also access to the brand new semi-open kitchen with all built-in appliances; luxurious bathroom with bathtub, separate shower and double washbasin; staircase to the third floor, a very nice loft with 2 bedrooms 5.80 x 3.60 and 2.90 x 3.60m.